Over the past few years, the use of electronic cigarettes has seen an increased dramatically, especially among younger people. Think back to only five years ago and it wasn’t really something that I ever heard that much about. But now, there are e-cigarette shops on high streets and in shopping centres, and you can’t miss the cloud around someone using an e-cigarette outdoors. Vaping is the usual term that we hear about when you talk about e-cigs, but JUULing is a name for it that is growing and growing, mainly due to the brand JUUL expanding over to England and Scotland recently. JUULs works by heating up a cartridge that contains oils, to then make a vapor that can be inhaled. The thing is, vaping an JUULing are advertised as a cheaper and safer alternative to ‘traditional’ cigarettes, according to ConsumerSafety.org many people have ​filed lawsuits in the US against JUUL​, claiming that the products have caused health problems such as nicotine addiction and injuries from device malfunctions. So really, is this something that we should be doing? And how much do we know about it, if our young people are going to be using them more than any other group? One JUUL pod contains around ​20 cigarettes worth of nicotine​, so that is the same as a pack of regular cigarettes in one go. In 2015, statistics showed that ​6% more boys​ used e-cigarettes than girls, with 12 out of 100 high school children reporting to use them regularly. Children who use e-cigarettes have a ​30% higher chance​ of smoking traditional cigarettes within the next six months of initial use. A lot of the advertising around vaping (or JUULing) is that they are ‘healthier’ for you than traditional cigarettes as they don’t have the tar in them that can damage your lungs. While that may be a true fact of them, there hasn’t been enough research or time to prove any long-term effects of electronic cigarettes. But when you break down what is really in them, it has plenty of things that are unlikely to be good for you. Take propylene glycol, for instance. 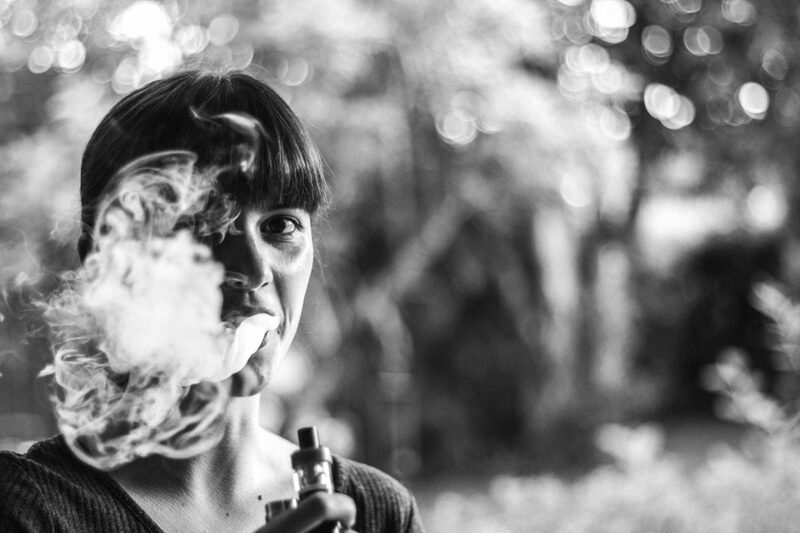 The FDA has deemed this chemical is an additive that is “generally classified as safe,” but I’m not sure I’d want to take my chances with ‘generally.’ However, studies analyzing the health effects of glycol-based fog that you get from vaping has been linked to ​acute and chronic respiratory effects​. Of course, there is nicotine in the e-cigarettes as well, and it the amount in them every high, containing 40 mg of nicotine​ in each JUUL pod. We know that nicotine and tobacco are highly addictive, especially ​for adolescents​, and even the smallest of doses can ​impair your health​, which is why it is better to never start. When you vape or JUUL, you can get side effects like diziness, coughs, dry skin, dry and itchy eyes, and a dry mouth. But there are long term effects of vaping or JUULing, that include lung disease and deterioration of lung tissues, as well as having an impact on brain development. Which for me, the latter is really the most worrying. If our young people are using e-cigarettes while their brains are still developing and they’re learning, that it can have a negative knock-on effect for their future. Another reason why just not starting in the first place is the best option. Have you had much experience with e-cigarettes before? Have you heard of JUUL before? It would be great to hear what you think about this, especially if you are currently vaping. Please pass on the infographic to anyone that needs the information.